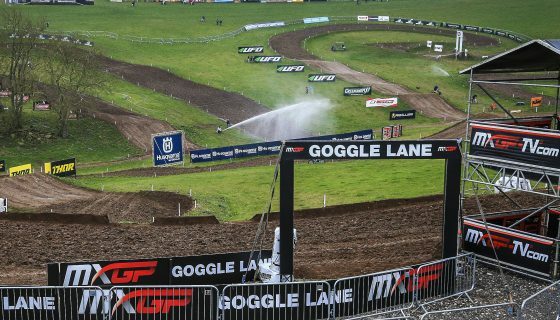 MXGP READY TO RACE IN RUSSIA. 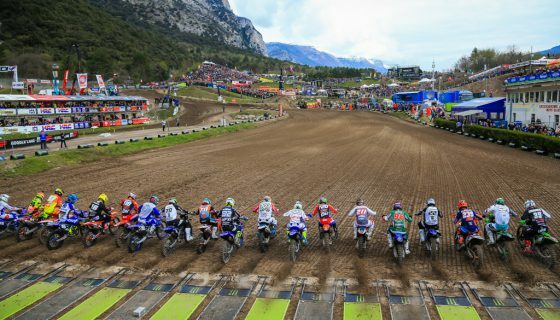 With the first 5 rounds of the 20 in 2018 complete, the MXGP FIM Motocross World Championship now heads to Orlyonok, Russia for the MXGP of Russia. 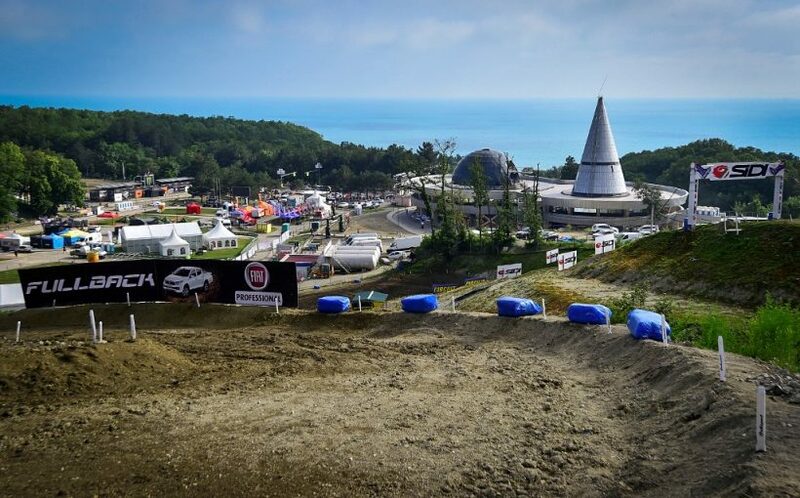 The circuit of Orlyonok rests along the Black Sea and will host MXGP for the second year in a row. Last year’s version played out in the traditional weekend racing format but this edition racing will be held on Monday the 30th of April and Tuesday the 1st of May to align with the largely celebrated Spring & Labor Day holiday. Last year we saw amazing racing in our return to Russia after many years away at a new venue in a completely different region of the country. The entire 2017 event was amazing and though rain dampened the circuit last year perfect weather conditions are expected for this upcoming week. While so far in 2018 it has been a two horse battle between Red Bull KTM Factory Racing’s Jeffrey Herlings and Antonio Cairoli last year’s MXGP of Russia winner Monster Energy Kawasaki Racing Team’s Clement Desalle along with many other top racers will make the Russian trip. 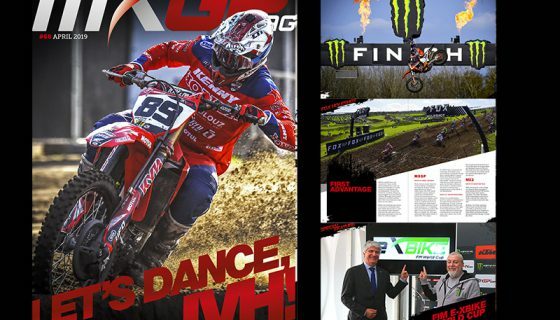 Joining in the Russian racing is the classes of EMX250 and EMX300 presented by FMF Racing. In EMX250 the first 2 races crowned different round winners the first being BUD Racing’s Pierre Goupillon and the second went to Red Moto Assomotor’s Mathys Boisrame. Both Goupillon and Boisrame will be racing in Russia along with points leader Mel Pocock and 49 others for a total of 52 riders entered. In EMX300 presented by FMF Racing round 1 winner Greg Smets will compete against round 2’s top finisher, GL12 Racing’s Mike Kras, and defending champion, Verde Substance KTM’s Brad Anderson among several others. Red Bull KTM Factory Racing’s Jeffrey Herlings has come away with 7 heats wins providing him with 4 of the 5 overall victories so far this year. The other wins have gone to his Red Bull KTM Teammate and championship rival Antonio Cairoli who, in the first five races of the season, has actually led more laps then the red plated #84. In the past 2 rounds the difference has been the massive improvement of Herlings starts which have in turn allowed him to take the lead early and pull away from the field. Both have been strong on Russian soil each scoring the GP win in 2012 when Herlings was in MX2 and Cairoli the premier class however last year Herlings managed to reach the Orlyonok podium while Cairoli took 5th. Monster Energy Kawasaki Racing Team’s Clement Desalle had been holding down 3rd in the points until bike misfortune took him out of race 1 in Portugal allowing Monster Energy Yamaha Factory MXGP’s Romain Febvre to take the spot. Desalle has been fast all season and is one of the most likely to end the KTM dominance. Desalle won the Russian GP in 2017 and was second in the premier class in 2012. Febvre comes to Russia with a much stronger start to the season than in 2017 and as previously mentioned has taken over the third spot in the points standings. Febvre finished 6th in Russia last year and 16th back in 2012 while riding MX2. Rockstar Energy Husqvarna Factory Racing’s Gautier Paulin is working his way forward and improving on his season with the exception of a bike issue taking him out of Portugal’s race 2. 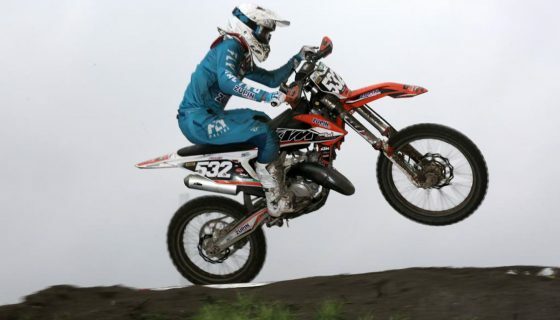 Paulin reached the final spot of the Russian podium last year and took 7th in 2012. Missing the racing in Russia last year was Team HRC’s Tim Gajser. Gajser who missed the first round of the season with injury showed potential and the results many have expected with his podium in Portugal 2 weeks ago. Not to go unmentioned is BOS GP’s Evgeny Bobryshev who will undoubtably be the fan favorite. The Russian superstar took 12th last year and 5th in 2012. One other rider to keep track of this Tuesday is Wilvo Yamaha Official MXGP’s Jeremy Seewer. 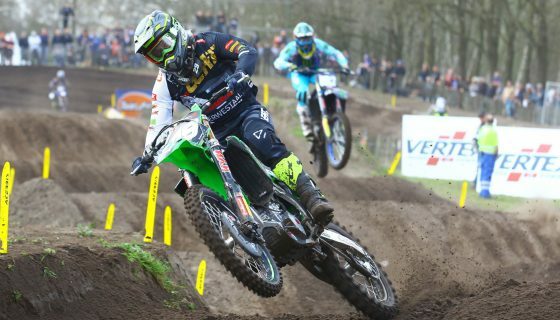 Seewer took the runner up MX2 position in Russia last year and the Swiss rider is no stranger to hard pack circuits. In the MX2 category Red Bull KTM Factory Racing has another pair of top performers with Pauls Jonass and Jorge Prado. Jonass leads the points but has struggled the past two rounds leaving Prado to win back to back races. Last year Prado took 8th while Jonass clinched the Russian win. Rockstar Energy Husqvarna Factory Racing’s Thomas Kjer Olsen has been on of the most consistent performers of 2018 with 4 podiums out of 5 rounds. The consistent results has him placed third in the points standings. The Kemea Yamaha Official MX Team came into the season with a brand new group of three riders and all have performed well. Perhaps the most popular in Russia will be none other than the Russian Vsevolod Brylyakov. 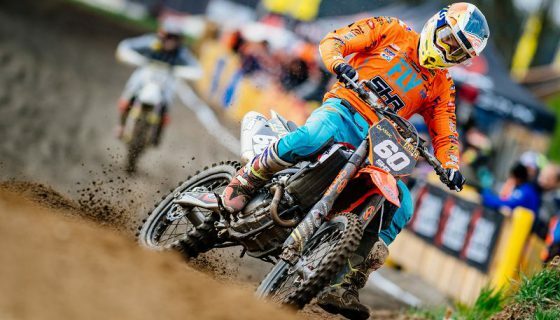 Nicknamed the “Beast from the East” Brylyakov, who sits 6th in the MX2 championship, will race his first ever home GP after missing the 2017 event with injury. Brylyakov’s teammate Ben Watson has surprised several this year and currently holds down the 4th spot in the points and achieved 10th at the race last year. The other Kemea rider Jago Geerts come back to the Orlyonok circuit for his second time and with fond memories after winning the 125cc FIM Junior Motocross World Championship title here in 2016. Several other riders will content for the win as well including F&H Racing Team’s Jed Beaton who comes off an impressive Portuguese performance. Beaton turned many heads with his fight to 3rd place in Agueda.